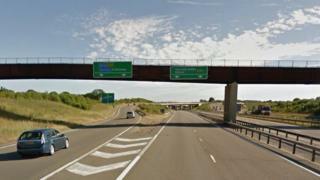 What do you want to know about the A34? BBC South would like to know what questions you have about the A34. Known for long tailbacks, there have also been a number of high profile fatal crashes on the 62 mile route between Winchester to Bicester recently. We'll be putting some of your questions to a panel made up of representatives from interested parties and experts, who will also be debating the issues. A selection of questions and answers will be published on the BBC News website and there'll also be a special programme broadcast on BBC Radio Solent, Radio Berkshire and Radio Oxford at 09:00 on Tuesday 28 February.